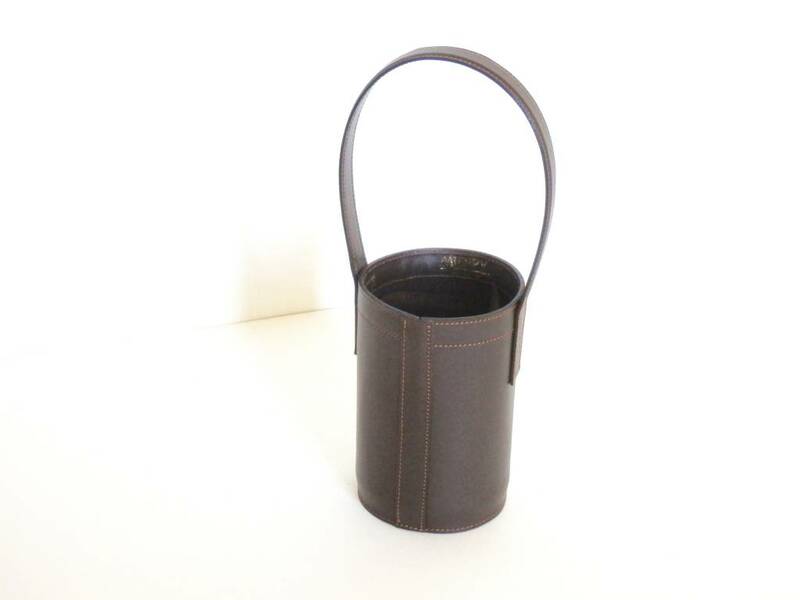 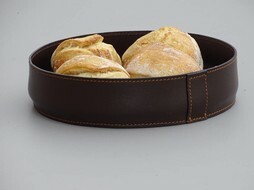 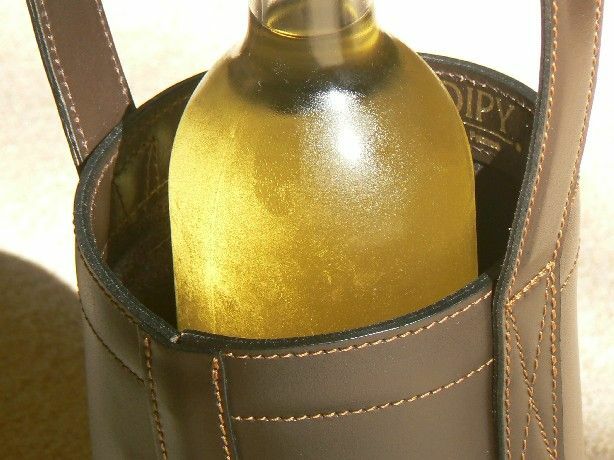 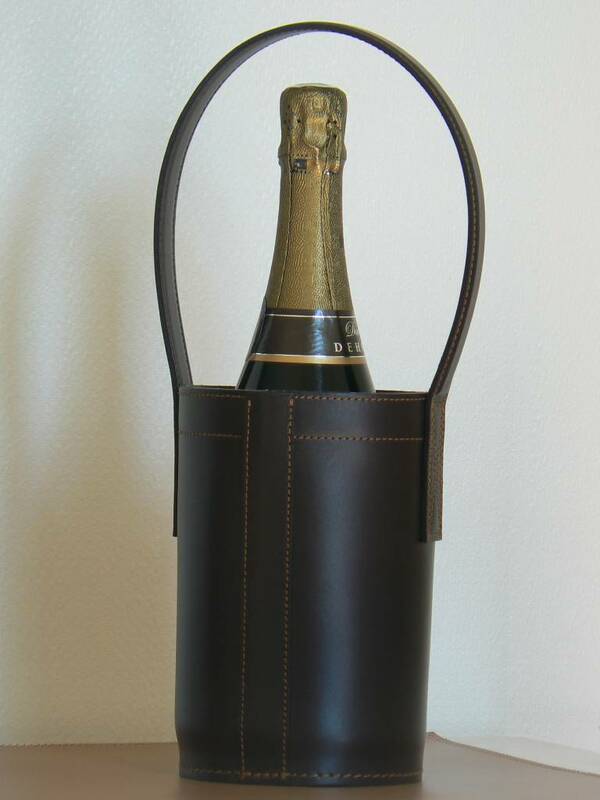 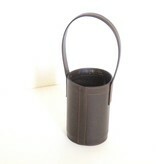 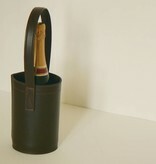 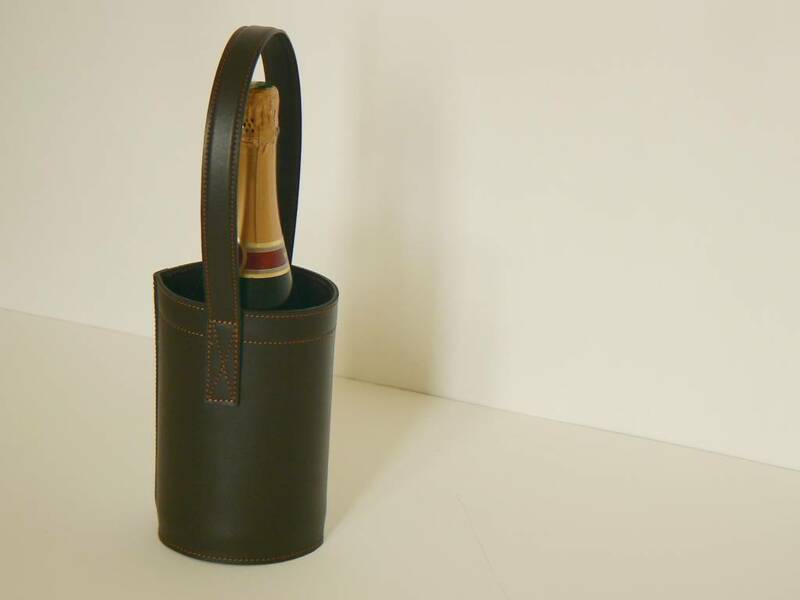 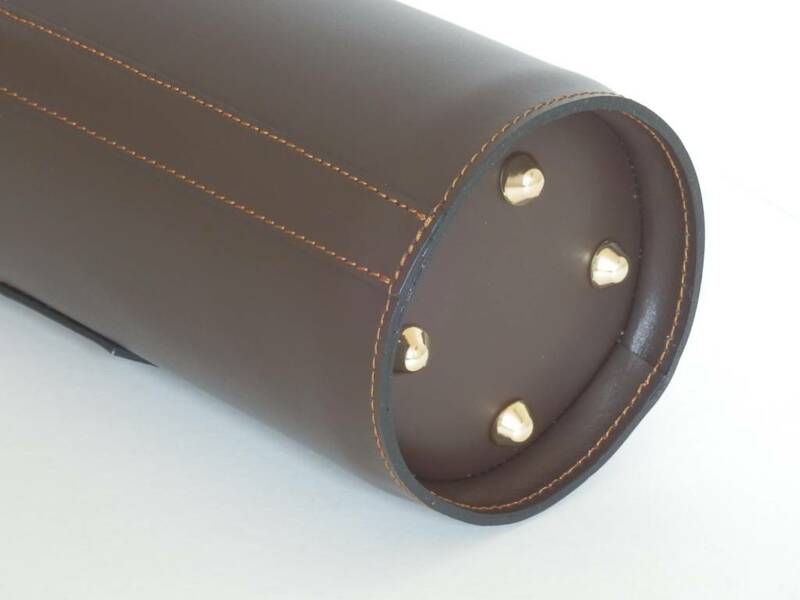 This bottleholder is made out of quality buffalo leather and is handmade in France! 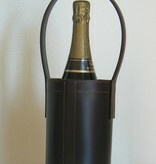 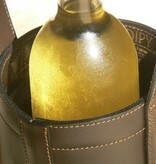 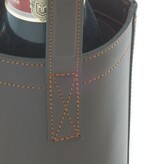 The pad included in the holder can be cooled in the freezer and used as a winecooler. 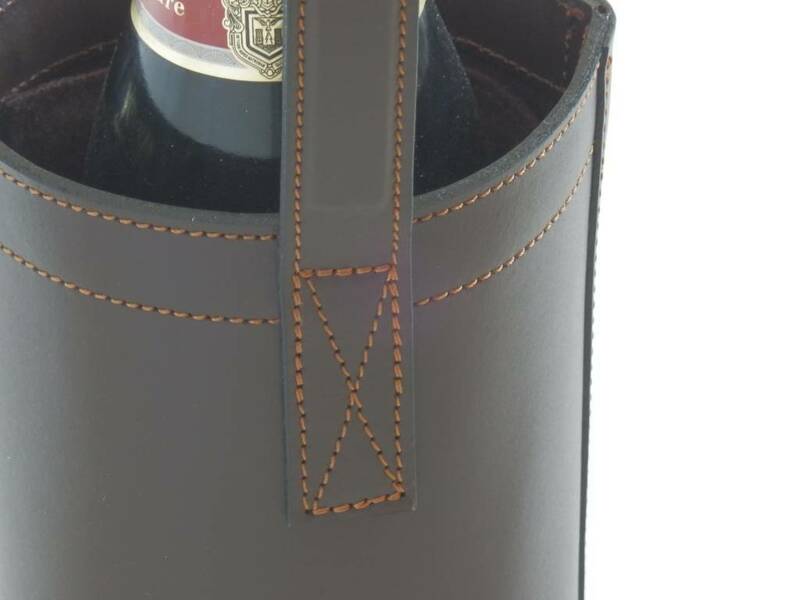 the colour of the holder is chocolate brown, the stitching is slightly lighter. 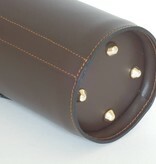 On the bottom, 4 metal feet make sure the leather is not dammaged during the use.